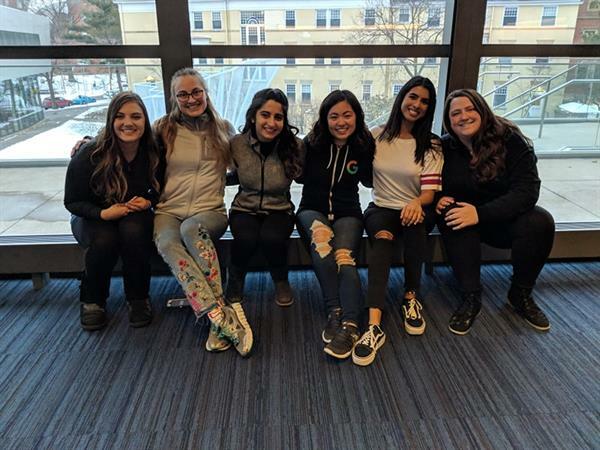 The Panhellenic Council serves as the governing body of all sororities present at CWRU. We are made up of diverse group of sorority members from a variety of chapters, backgrounds, and values all coming together to help our community move forward. The Panhellenic Council’s mission is to provide support and offer unique programming for our chapters to utilize in the development of their members. We promote philanthropic engagement, encourage scholarly endeavours, and foster a culture of care among our community members. We hope to help chapters maintain the high standards set by their respective founders years ago by creating an environment conducive to living a values-driven life. We strive to help members see the importance of scholarship, leadership, citizenship, and ritual as part of their Greek experience. I believe that Greek Life is one of the only organizations on campus that provides a holistic experience for its members and am grateful for the opportunity to work with and serve the Panhellenic community. Through Greek Life, members are able to grow, give, lead, and succeed throughout their undergraduate experience and beyond. From all of us on the Panhellenic Council, we invite you to step outside your comfort zone, meet friends that will last a lifetime, find your home away from home, and become the best version of yourself. We invite you to go Greek.